Blockchain-based "idea vault", project accelerator, and gig economy, corcom.io, announces two ICOs and its alpha matrix launch. SPARKS, Nev., Dec. 1, 2017 /PRNewswire/ -- Nanojems is happy to announce that Corcom.io - currently accelerating projects such as Nanojems, The PUSH, Lunar Golf, UrlyWhirly and MushMap - is in its fourth investment round and has scheduled two upcoming ICOs. The fourth round of investment for accredited investors will close December 16th, 2017 and the system utility COR token ICO will start January 1st, 2018. The core component matrix security token, CRS, is scheduled for ICO on March 1st, 2018. The core component matrix is a borderless, digital ledger, free from redundant overhead, where ideas can be born , incubated, accelerated, and grown to create value. The core component matrix tracks and rewards project progress and every value creation event that can be recorded along the way. Jesse Adams, CEO of corcom.io stated, "Everyone can create value. We've been digging into the process, the joy, and the setbacks and are excited to offer and further develop the core component matrix system solution within the context of an incentivized, forward looking, and growing community." According to Adams, "We discovered, as is often the case when the time is right, a convergence of technology, ideology, and a societal demand to be heard and rewarded for contribution. Why does it take so long to build a company and why do so many good ideas go by the way side? How many times have you heard — that was my idea! We're offering a frictionless entry point to record your idea and take a shot at making it a go." The core component matrix tracks and rewards project progress and every value creation event that can be recorded along the way. Ideators often don't know where to start and lack resources to make their ideas become reality. Investors want to see ideas make progress and prove their worthiness. Gig-workers are looking for interesting, rewarding and plentiful work-shards. Developers are looking to build blockchain technology and apps. The core component matrix offers all of these things. Jesse is an author and technology developer in the areas of nanotechnology IoT and blockchain technology and co-founder of NevadaNano, which recently announced the closing of $18 million in new investor funding led by Ray Stata, Chairman of the board at Analog Devices. Jesse also co-founded Nanolabz which was recently acquired by HIL Applied Medical. Corcom.io is a digital community where ideas are logged and given access to the resources they need to grow and become reality. 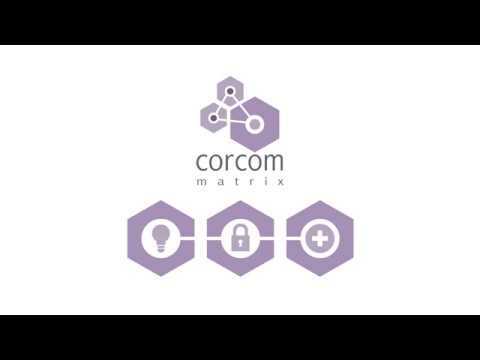 The core component matrix is fueled by a digital token, COR. COR is distributed as a reward for value creation events, including the entry of an idea into the system, or the development of that idea by project collaborators.